Revising is not easy work. It’s long and arduous and necessary and also my least favorite part of writing. I like the burst of inspiration part, the oh-my-god-i-just-had-the-best-idea-this-is-going-to-be-so-much-fun part. The giddy with excitement creative part. You know - the childish part. 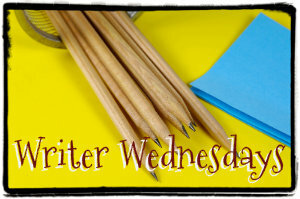 Revising is the grown up part of writing. It’s the eat-your-vegetables-brush-you-teeth-and-go-to-bed part. It’s the part where we have to cut out some of our favorite parts or favorite lines or favorite moments. But it’s necessary because the fun part is messy and no one wants to read a messy book. They want a fun exciting book yes, but clean and neat and tight. Not messy. So we have to clean up. 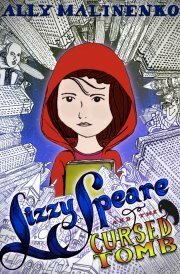 When I first started writing Lizzy Speare it was a much different book. And I’m here today, dear reader, to share with you what got left behind. Now, bear in mind this isn’t easy to do. Things were cut for a reason. So no laughing! 1. Lizzy’s name was Hamlet. I’m not kidding. I named a 12 year old girl Hamlet Shakes. 2. Lizzy wasn’t 12. She was 8. I named an 8 year old girl Hamlet Shakes. How cruel. 3. Hamlet had a very mean mother who hated her and Rupert worked a very boring job in a paper factory and he did not make giant birthday cakes in the middle of the night. I think he was a touched depressed. 4. Jonathan has always been Lizzy’s muse but at one point in time he was a walking talking skeleton. I guess for a while there I thought that Shakespeare’s muse would be very connected to Yorick’s skull so I made him a skeleton. Either that or I thought Shakespeare’s muse would then move on to inspire Stephen King. I’m not really sure what I was thinking. Picture Jack Skellington from Nightmare Before Christmas and you get the idea. 5. Jonathan as a skeleton would wear his skin like clothing and it would be all bumpy and ill-fitting and that would be funny. Though thinking about it now it seems more terrifying than anything else. Definitely more Stephen King than Shakespeare. 6. Cleo would never leave the Muse Bar. In the final edition of Lizzy Cleo is a big character, Jonathan’s best friend and loyal satyr. But the first time around when Lizzy was Hamlet and Jonathan was a giant skeleton, Cleo was only in that one scene in the beginning. He was just a momentary thing. Like the Symphonias. The reason that it was Cleo out of all the other characters there that I pulled into a bigger role is because satyrs get a bad rap. They are tricksters and playful and they don’t take anything serious or believe in anything outside of when they’re going to get their next bottle of wine. I wanted Cleo to be more than that. 7. There was no Dexter, no Gossamer Willowfly and no Charities. 8. There was no such thing as Bending Time, which if you’ve read the book, means you never met one of the biggest characters in the whole thing. Spoilers! 10. And finally, the biggest change, there was no Sammy. Lizzy was all alone in this world. Now I can’t imagine not having Sammy in there. Who would she talk to? Who would she trust? Who would she fight for? To me, Sammy and Lizzy are peanut butter and jelly. They work okay alone but they’re so much better together. So there you go. All my nasty little locked in the attic secrets of what this book was before it was Lizzy Speare and the Cursed Tomb. And hey, what did I say about no laughing? Ally Malinenko, a self-proclaimed Bardolator, took her first pilgrimage to Stratford-Upon-Avon in 2009 and hasn’t been the same since. Lizzy Speare and the Cursed Tomb is her first children's book. Her poetry book, The Wanting Bone, was published by Six Gallery Press. She blogs at allymalinenko.com. Ally lives in Brooklyn with her husband. Thanks for having me by Donna! I had a blast!